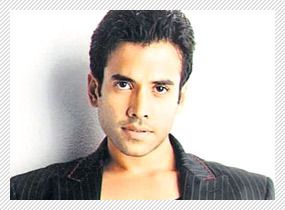 Time and again, one has seen Tusshar Kapoor leading audience into splits with his comic act, case in point being franchises like Golmaal and Kya Kool Hain Hum. Tusshar says, "heikh's character (his role in Shootout At Wadala) is such that it would be definitely remembered for his dialogues." 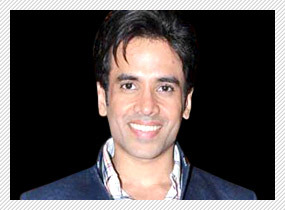 Time and again, one has seen Tusshar Kapoor leading audience into splits with his comic act, case in point being franchises like Golmaal and Kya Kool Hain Hum. However, as and when he has turned serious, as was the case with Khakee, Shor In The City or Shootout At Lokhandwala, he has delivered. Now that he is arriving in Shootout At Wadala as Manya's [John Abraham] friend and accomplice, all eyes are on him. Since you have never been directed by Sanjay Gupta before, it must have been a unique experience by itself, isn't it? I remember that we had met in February 2011 when the film didn't have a base. He told me that he wanted to make Shootout at Wadala which would be a prequel to Shootout at Lokhandwala. At that time, even the producer wasn't locked but he wanted the same team to be continuing here. Personally though, I was quite taken aback that in his next directorial venture after Zinda, he wanted me to be a part of his film. I was sure that this won't be just another masala film and instead turn out to be a non-vegetarian 'thali'. Also, I knew that he would style me well and give a new look. So what was the kind of brief that came your way when asked to play the part of Sheikh Munir?
. Also, he has a fun and naughty side to him while being emotional and loyal. It is the most multi- dimensional character that I have ever played. Moreover, you are also enjoying quite a few dialoguebaazi as well in the film? (Smiles) I think our writer Milap (Zaveri) should be given credit for giving me some amazing dialogues in the film. Sheikh's character is such that it would be definitely remembered for his dialogues. type of dialogues; that's something that you would get to see and hear in the film. Are there any 'taali-maar' scenes between you and John (Abraham) in the film, considering the fact you are playing buddies? Yes there are. I play this guy who trains Manya in jail and brushes his skills. He is someone who tells him how to toughen himself up. Together, they begin their supremacy in the world of underworld. Naturally there are quite a few volatile scenes that play on screen. Well, there are some fireworks of course taking place on screen, courtesy you and John, serenading none less than Sunny Leone as 'Laila'. It was an interesting sight to see her dancing to this song (smiles). You can make out her standing in the industry from the kind of aura that she generates when on sets. When she used to shoot, all unit members just stood there and looked at her. She was a true star on the sets and rightfully so. After all, she enjoys a lot of popularity and is also the most Googled personality. I am happy that she is a part of the film. Considering her celebrity status, how did she come across as a person? She is a really sweet person, very polite and humble. Honestly, I was expecting that she would have a lot of attitude because she is an international celebrity. I also thought that she would be a lot over confident. None of that was the case with her though. She just stepped on to the sets and got into action right away. Talking about action, I guess you have a lot of action against your name as well in the film? Yes, there is a lot of action and all of that is really raw. There are also a lot of chase sequences like climbing on the train, running atop it, flying off a car and stuff alike. What you get to see is some really intense action, most of which has been done without stunts double. There are street fights which are the kind that gangsters would have indulged in the 70s. Of course, we have made it all a lot larger than life while keeping the authenticity intact.